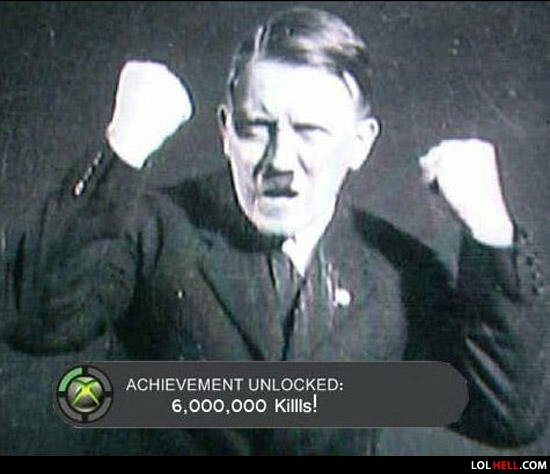 Hitler has 0 kills 6,000,000 assists and 1 death. I can see how it would be funny, but I'm indifferent to it. His gamerscore is through the roof. Moral: Meh! Jews where all on "easy mode!" Funny Yes I Like It!